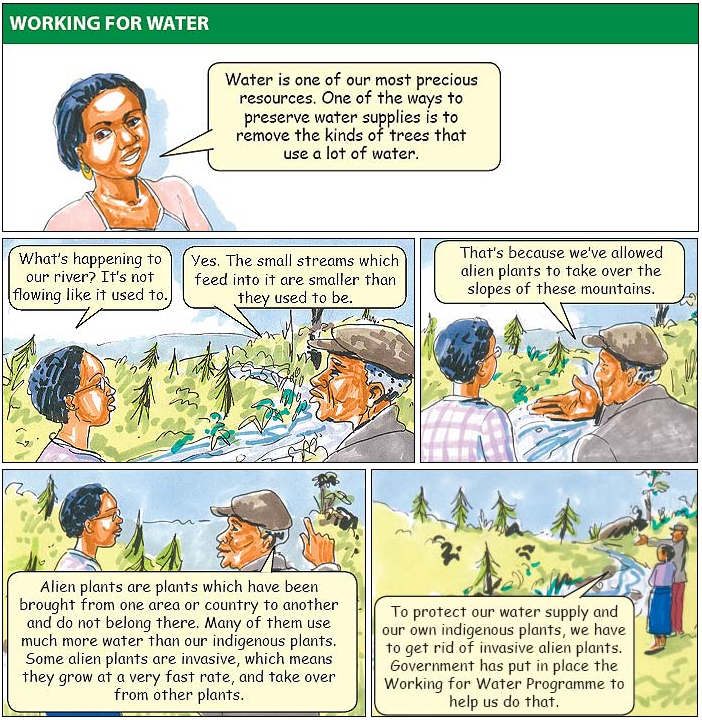 The Working for Water Programme identifies areas where invasive alien plants are threatening water supplies. Then it employs local people to help remove those plants. These people are trained to prevent and control the spread of the invasive alien plants. Training includes the use of chainsaws and other tools for cutting trees, engineering and project management. If you think invasive alien plants are threatening your water supply and are looking for medium-term employment for yourself and others in your community, why not contact the Working for Water Programme? The Department of Environmental Affairs and Tourism (DEAT) has a Social Responsibility Programme focusing on environmental projects like protection of conservation areas, coastal rehabilitation, tourism-related enterprises, urban renewal, and others. To access these funds, projects must be a part of a municipality’s Integrated Development Plan. 30% of total project costs must be from employment of local people. 50% of jobs created must go to women. 25% must go to youth. 2% must go to the disabled. Projects should be community-based, with a community ownership component, they should create jobs for locals and promote skills development, as well as support local tourism growth.